Lead author Dr. Nicola Rooney from the Bristol Veterinary School, said: "We already know from previous studies that patients' quality of life is vastly improved by having a medical detection dog. However, to date, evidence has come from small scale studies. Our study provides the first large-scale evaluation of using medical detection dogs to detect hypoglycaemia." Dr. Rooney, Teaching Fellow in Animal Welfare and Behaviour, added: "Our research shows a dog's effectiveness is affected by the individual dog and its connection with its human partner. Since the usage of such dogs is growing, it's important that any dogs used for these purposes are professionally trained, matched and monitored by professional organisations like Medical Detection Dogs. It's also vital that research continues both to assess true efficacy and determine ways to optimise their performance." 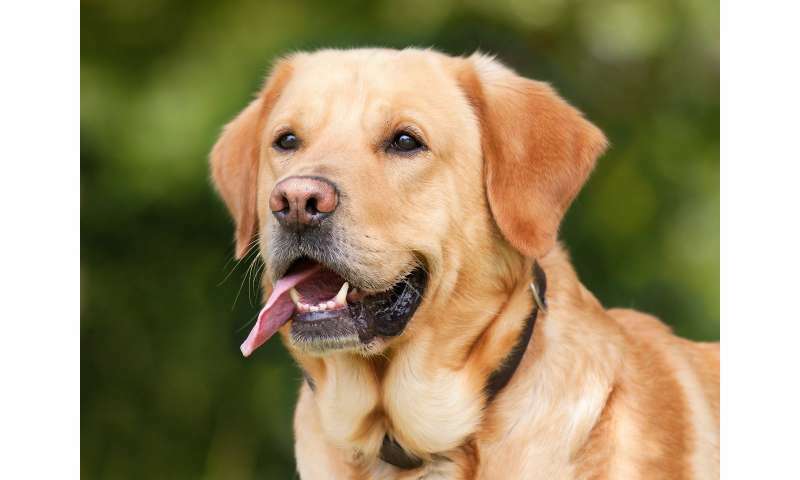 Dr. Claire Guest, Chief Executive and co-founder of Medical Detection Dogs, said: "The findings are fantastic news for all those who are living with Type 1 diabetes and other conditions. Medical detection dogs primarily serve patients looking for more effective and independent ways of managing their condition. More information: 'How effective are trained dogs at alerting their owners to changes in blood glycaemic levels? : variations in performance of glycaemia alert dogs' by Nicola J Rooney, Claire M Guest, Lydia CM. Swanson, Steve V. Morant, PLOS One, 2019.